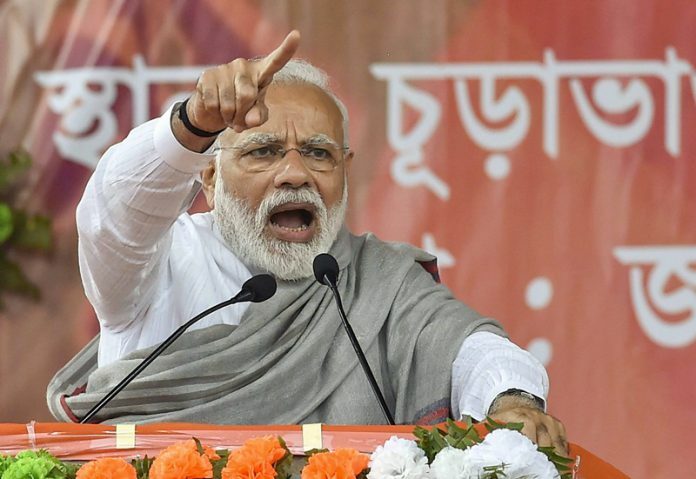 India’s Prime Minister Narendra Modi warned Pakistan on Friday to expect a strong response to the Kashmir suicide attack on a military convoy that killed 44 paramilitary policemen, ratcheting up tensions between the nuclear-armed neighbours. “We will give a befitting reply,” Modi said in a speech on Friday morning, soon after he called his security advisers to consider a response to the worst Kashmir suicide attack on Indian security forces in decades. India had granted MFN status to Pakistan in 1996, a year after the formation of the World Trade Organisation for the promotion of international trade. The high-level huddle decided to withdraw the MFN status for Islamabad and “initiate all possible steps” to ensure complete isolation of the country. After the attack, hundreds of government forces cordoned around 15 villages in the district the bomber came from and started searching house-to-house. Pakistan also expressed grave concern on the Kashmir attack. In a statement, Foreign Office Spokesperson Dr Faisal said, Islamabad has always condemned heightened acts of violence in the valley. Thursday’s attack in Pulwama area of IoK was the deadliest attack on Indian occupying forces there since 2002.